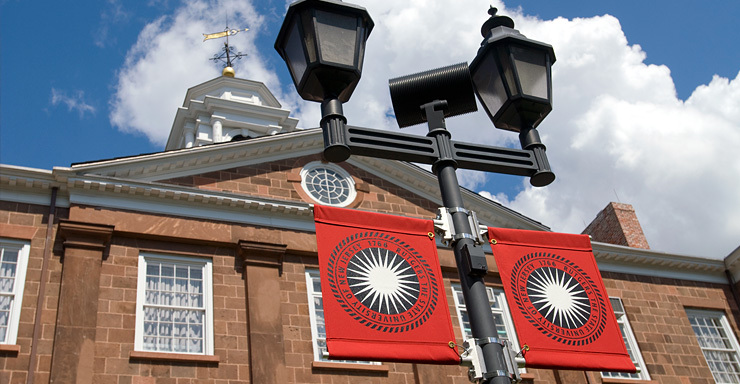 Rutgers University is governed by a Board of Governors composed of 15 voting members vested generally with the government, control, conduct, management, and administration of the university. Rutgers also has an advisory Board of Trustees of 41 voting members empowered with certain fiduciary responsibilities over assets of the university in existence before 1956. The university president is a nonvoting, ex officio member of both boards. Historically, the Board of Trustees was the governing body of the university from the time of its founding as Queen's College in 1766 until the university was reorganized under Chapter 61, Laws of 1956. The 1956 state law created a Board of Governors as the governing body of the university. It also provided for the continuation of the Board of Trustees in an advisory capacity, with certain fiduciary responsibilities over assets of the university in existence before 1956. The Board of Governors is composed of 15 voting members. The president of the university is an ex officio, nonvoting member. Two faculty and one student are elected by the University Senate as nonvoting representatives. Of the 15 voting members, eight are appointed by the governor of the state with confirmation by the New Jersey State Senate and seven are elected by and from the Board of Trustees. The Board of Trustees is composed of 41 voting members. The president of the university is an ex officio, nonvoting member. Two faculty and two students are elected by the University Senate as nonvoting representatives. The 41 voting members are chosen in the following way as mandated by state law: 20 charter members (of whom at least three shall be women), 16 alumni members nominated by the Nominating Committee of the Board of Trustees, and five public members appointed by the governor of the state with confirmation by the New Jersey State Senate. Of the 20 charter seats, three are reserved for students with full voting rights.